Would you like to own an awesome and sleek sports car? If so, then the Nissan 370Z is just the performance car for you! 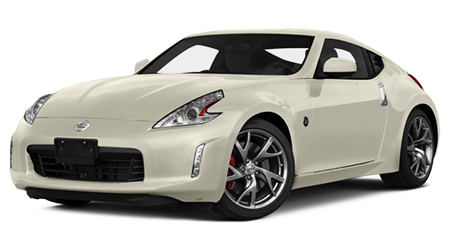 The aerodynamic and muscular 2016 Nissan 370Z is ready to whip the competition. At Santa Barbara Nissan, we can get you into your 370Z. Our mission here is to help you find just the vehicle for you, and get you excited about driving it home! Our inventory is always there to browse online. Our dealership is conveniently located at 425 S. Kellogg Ave. in Santa Barbara. We look forward to arranging your test drive today. The statistics speak for themselves; the sleek and powerful 2016 Nissan 370Z beats the competition. With several models to choose from and an array of optional extras available, there is a 370Z for any performance car buyer. At Santa Barbara Nissan in Santa Barbara we are ready to show you an extensive selection of Nissans, and helping you find the car or truck that's the best fit for you. Review what we have in stock by perusing our Web site or stop by our location at 425 S. Kellogg Ave. in Santa Barbara, CA. We are close to sports car buyers in Santa Barbara, Carpinteria, Monte Cito, Lompoc, and Goleta. We look forward to helping you find the perfect Nissan sports car!